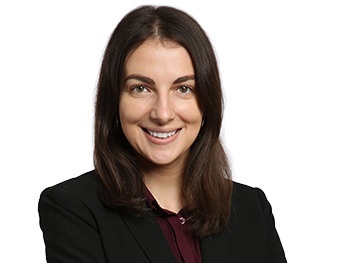 Eva Gadzheva is an associate in the firm's Bankruptcy & Creditors' Rights Group. Prior to joining Goldberg Kohn, Eva served as a judicial clerk at the Bankruptcy Court for the Middle District of Florida. Ms. Gadzheva is admitted to practice law in Illinois. She received her law degree from the Northwestern Pritzker School of Law in 2016. While in law school, she was an Executive Production Editor for the Journal of International Human Rights. Prior to pursuing her legal career, Ms. Gadzheva worked in the gaming industry for seven years. She received her B.A., with highest distinction, in international studies and political science from the University at Buffalo in 2011.